For Chicago-based families like us, there is no easier family road trip than a quick drive north to Milwaukee. Only 90 miles apart, Milwaukee and Chicago are both fantastic cities to explore in the summer with kids. Last month, we were looking for a last-minute family vacation and decided on a day’s notice to road trip to Milwaukee for a long weekend. 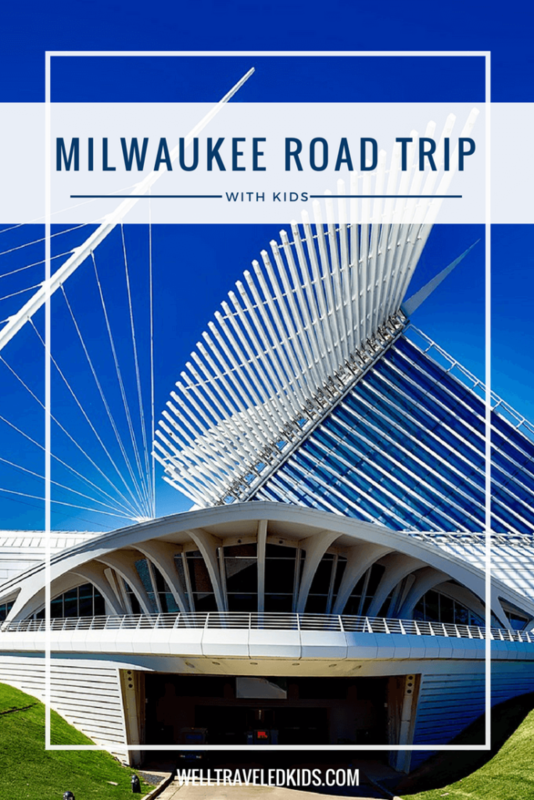 Traveling from one of Chicago’s North Shore suburbs, we were thrilled for a short, hour-long road trip to explore Milwaukee as a family. Summer in Milwaukee has so much to offer parents and kids alike. 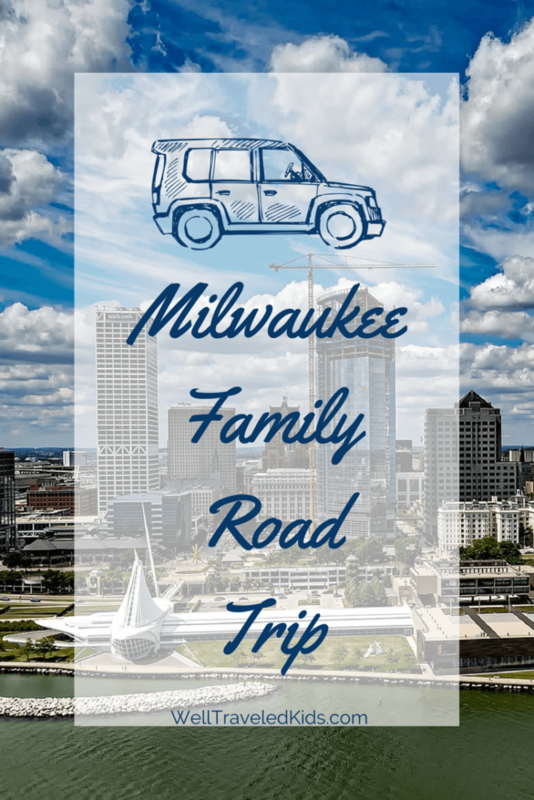 Here’s our recipe for an unforgettable summer family road trip to Milwaukee with kids. Milwaukee is the ultimate summer destination for families who love live music, outdoor venues, and fun in the sun on Milwaukee’s gorgeous lakefront. The area features permanent festival grounds in the heart of the city, perched on the shores of Lake Michigan. In addition to the famous Summerfest, from May through mid-September Milwaukee celebrates every ethnicity with an amazing fest, including German Fest, Polish Fest, Italian Fest, Mexican Fiesta, and the Indian Summer Festival in September. 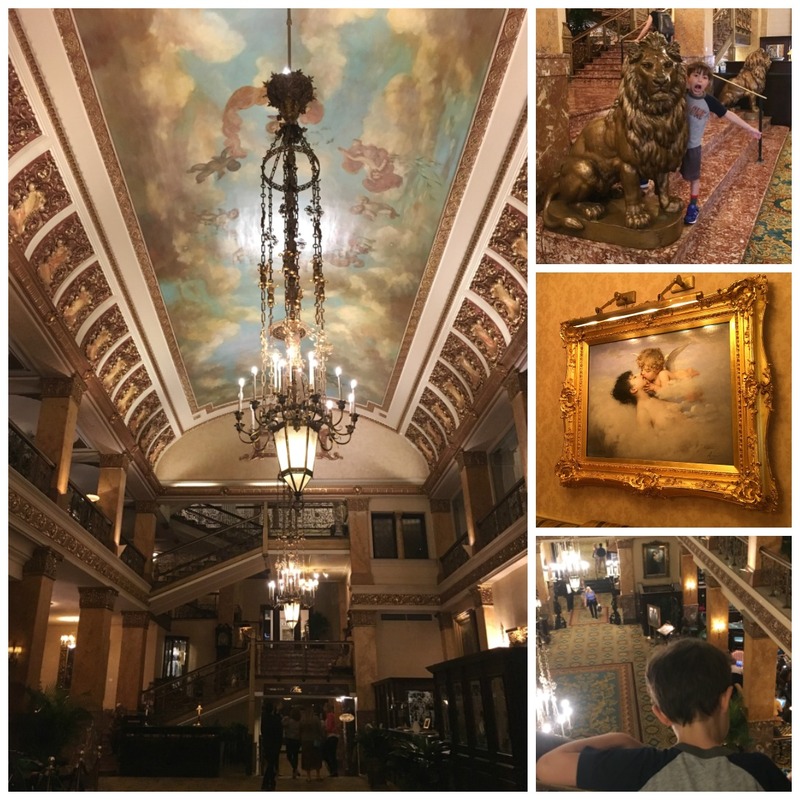 If your family loves to explore classic historic hotels and soak up a little history when you visit a city, Milwaukee has three hotels that we’ve loved staying in and would highly recommend for a perfect family road trip getaway. 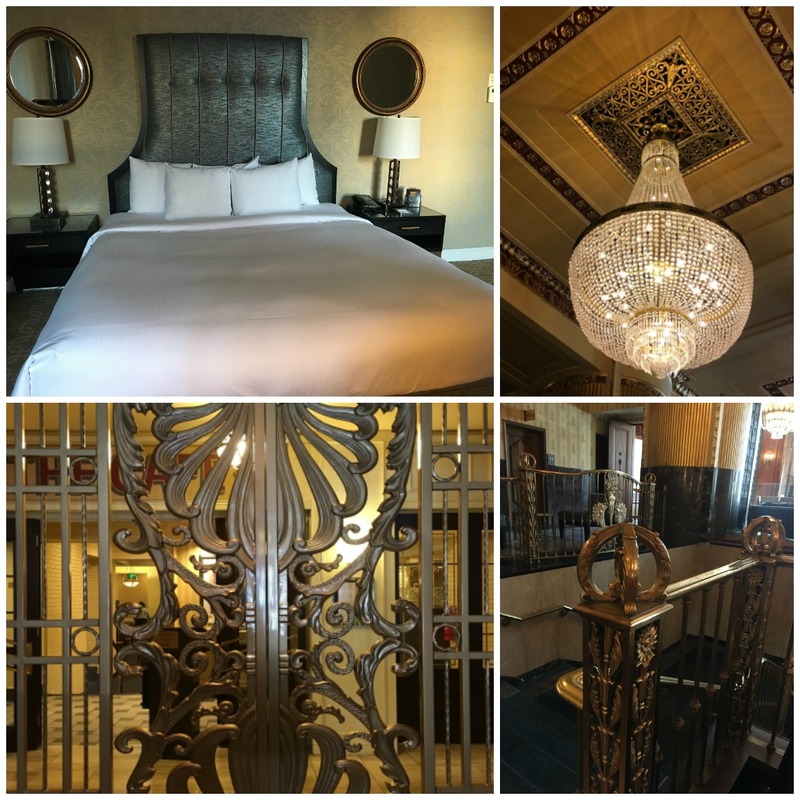 The Pfister Hotel opened in 1893 as a modern grand hotel, with a focus on bringing visitors from around the world to experience Milwaukee’s hospitality. The hotel is every bit as gorgeous today after being beautifully restored to its original grandeur. Soak up some culture exploring the hotel and perusing the priceless Victorian art collection. Splash in the top floor indoor pool and check out stunning views of the city. Take turns watching the kids play in the pool while you and your partner sneak away to the award-winning spa. End your day with cocktails and treats by the grand old fireplace. 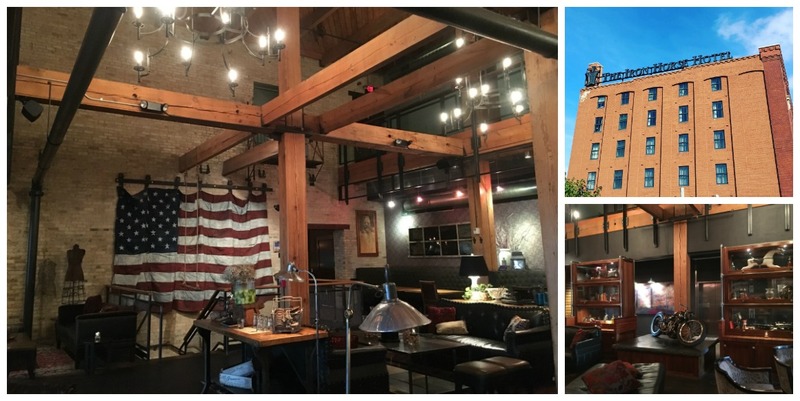 The Iron Horse is a modern chic boutique hotel built in a 100+-year-old factory. Locals flock to the Iron Horse to chill in the lounge, hang out on the outdoor patio with their dog and a beer, and grab some delicious cheese curds and a burger at the bar. Families will love the large modern hotel rooms and plush finishes throughout. If you love classic art deco architecture, The Hilton Milwaukee Downtown is perfect for your family. The hotel opened as The Schroeder Hotel in 1927 and reflects the rich, distinctive tastes of the time. The Hilton Milwaukee Downtown is the city’s largest hotel, offering many room types and sizes. It’s perfect for multigenerational family travel or for traveling with multiple families for a weekend in Milwaukee. Head over to Miller Park, and cheer on the Milwaukee Brewers at a family-friendly baseball game. Start with a tailgate party in the parking lot. Kids will love the outdoor playground right outside the main gates. Rain or shine, the family will be just fine since the park has a retractable ceiling. We loved sampling local Wisconsin food and beer concessions, watching the sausage races, and singing “Roll Out the Barrel” during the 7th inning stretch. 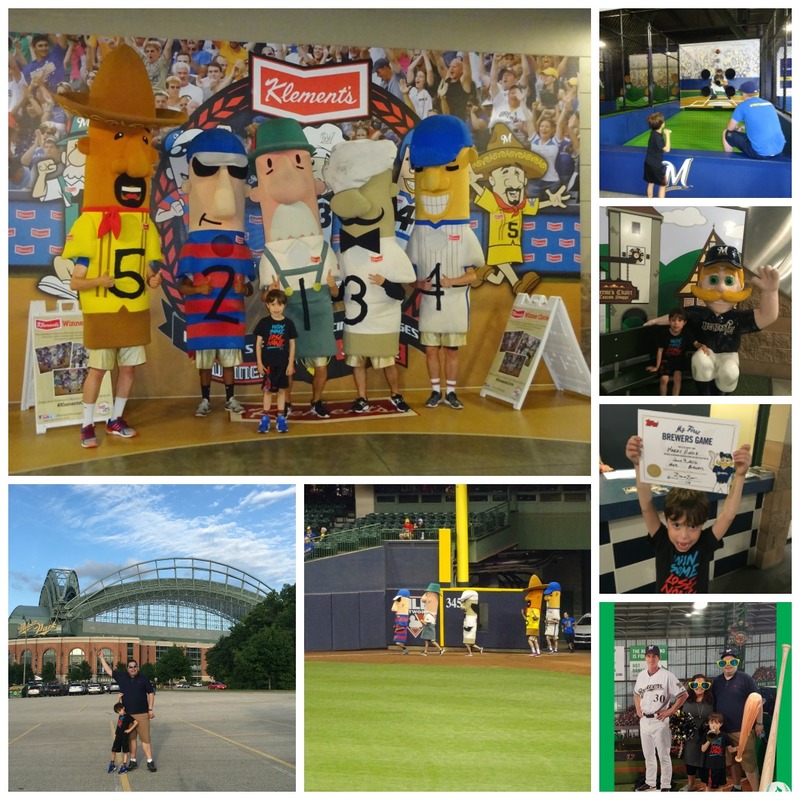 Miller Park is by far one of the most family-friendly ballparks we’ve visited! If you like Mission Impossible, James Bond, and Austin Powers, you won’t want to miss out on a visit to the Safe House Milwaukee. 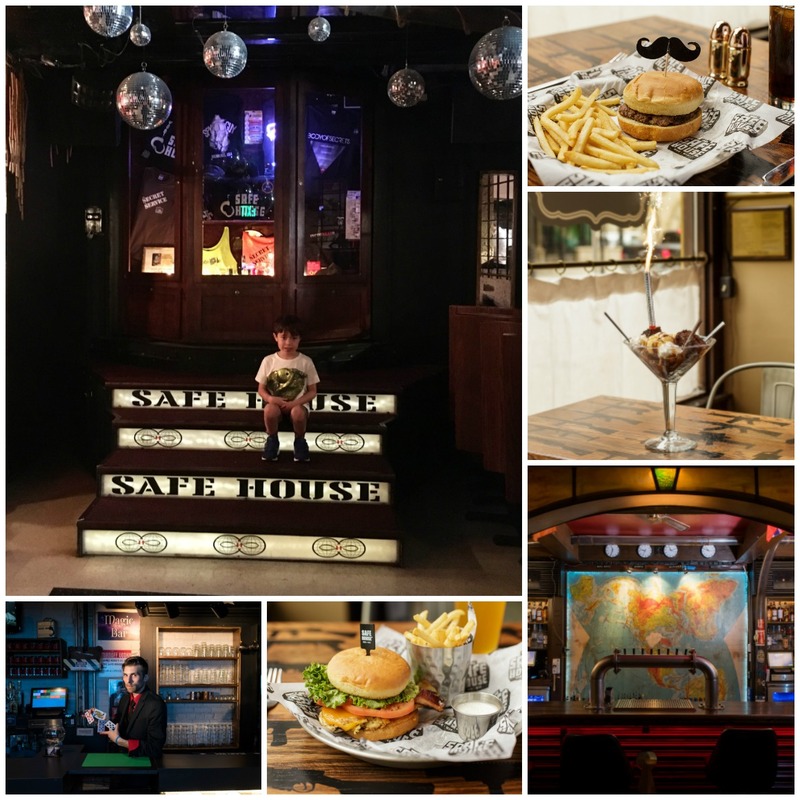 This elaborate spy-themed, must-see restaurant ensures that everyone has a great time and that no spy leaves the Safe House hungry or thirsty! We had an awesome time trying to guess the password to get into the restaurant and loved learning magic tricks and working the scavenger hunt through the restaurant by solving clues. Our waitress even gave us a special mission to solve at our table. We had so much fun we would recommend a drive up to Milwaukee just to take the family to The Safe House – it’s really cool! The best way to really appreciate the Milwaukee skyline is from the lake! 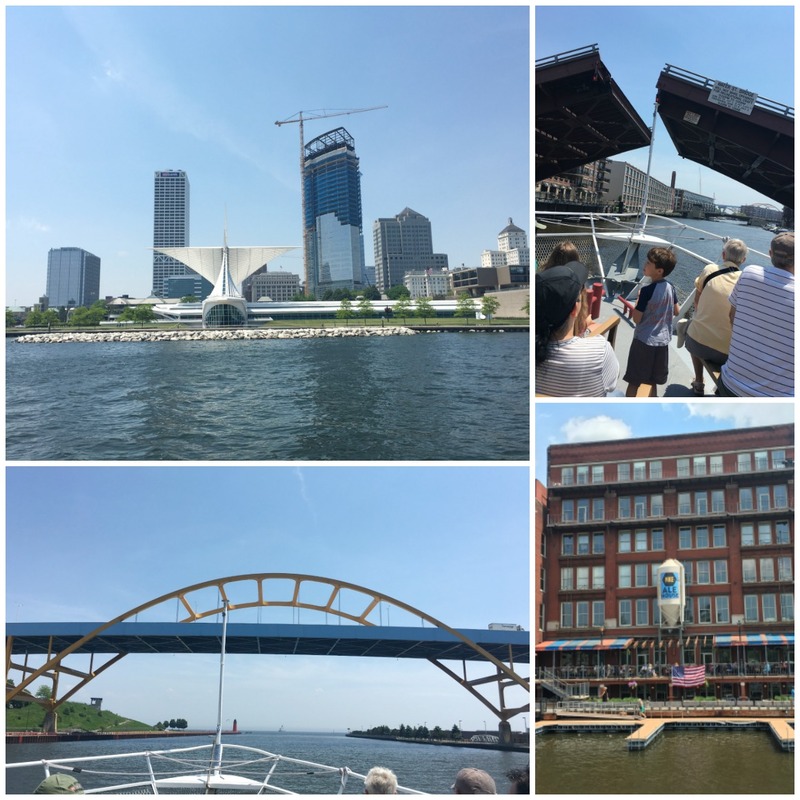 We loved sightseeing while cruising Lake Michigan and Milwaukee on the Milwaukee Boat Line. 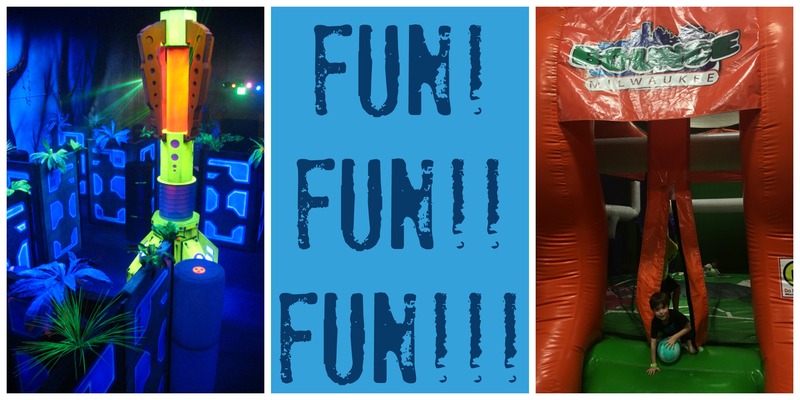 Play together at Bounce Milwaukee: Bouncy inflatables, climbing walls, laser tag, video games, and so much more make Bounce Milwaukee the perfect spot to play together as a family. We sipped themed cocktails while Harry drank local Sprecher root beer and munched on loaded tater tots—well-earned treats after a few fun hours bouncing, climbing, and having laser tag duels. Milwaukee is known for cheese curds, beer, thin crust pizzas, and Friday night fish fries. We sampled variations of fried cheese curds all over town and decided our favorites were at Motor Bar & Restaurant at the Harley Davidson. We tried a mix of traditional Cheese Curds and Buffalo Cheese Curds—both terrific! Click Here to Read about all of the Top Dining Spots for Foodie Families in Milwaukee! We love brewery tours but knew it could be dicey taking a 5-year-old. 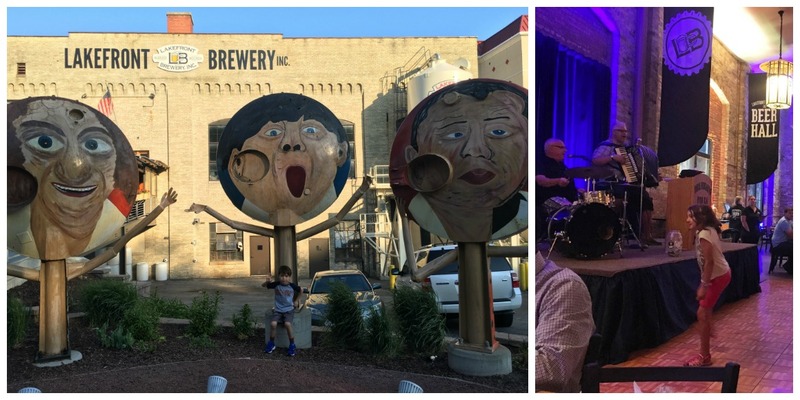 For a family-friendly experience, we chose a comedic tour of Lakefront Brewery on a Friday night followed by their Friday night Fish Fry, which included an amazing polka band and dancing. Being from Chicago and anxious to try some of Milwaukee’s best pizza, we headed to Transfer Pizzeria. We fell in love with this cool, old pharmacy transformed into a delicious restaurant. We highly recommend the bruschetta salami appetizer of toasted Italian bread with a thin layer of garlic sauce, topped with fresh Roma tomato slices, basil, salami, and shaved Asiago. The Garlic Lovers Pizza also ranked among our favorites, featuring garlic cream sauce, cheese, pepperoni, and sausage. There’s so much to see and do together in Milwaukee. 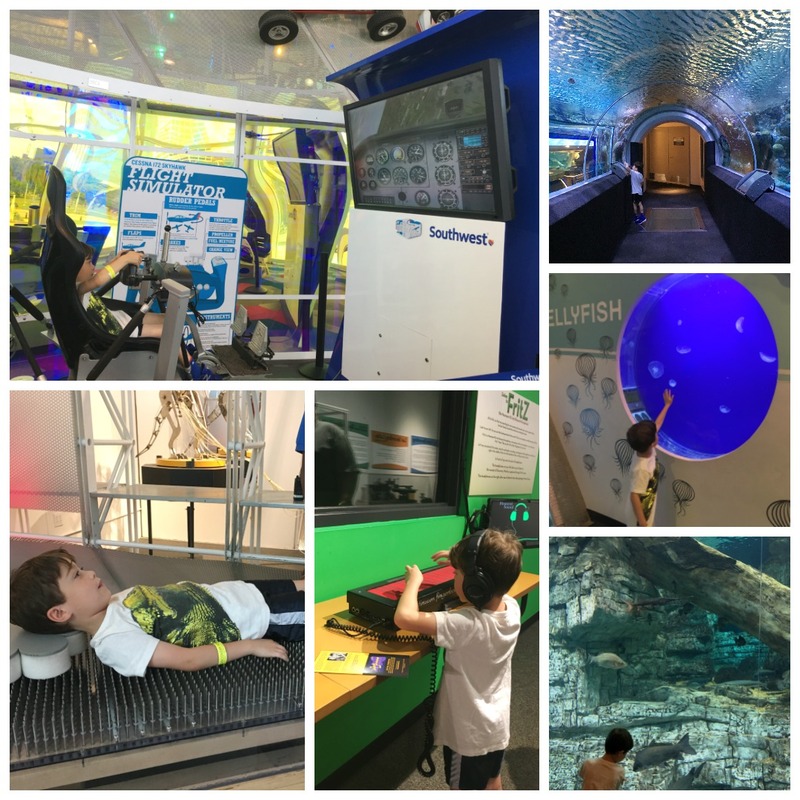 We loved the hands on learning and the aquarium at Discovery World Milwaukee. 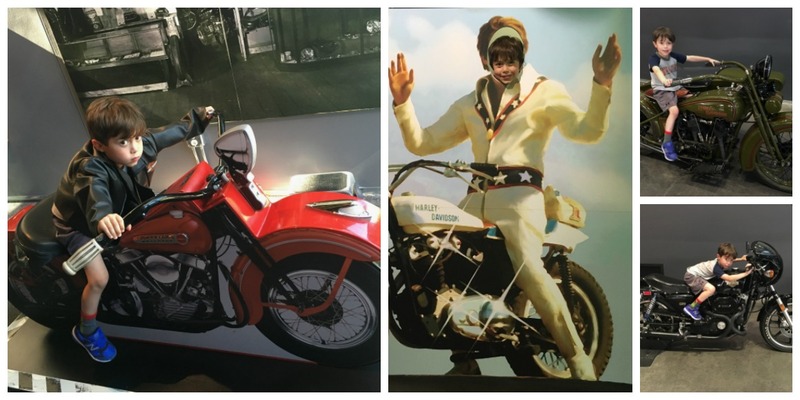 A quick tour around the Harley Davidson Museum is also a blast even if you don’t think you are a motorcycle person. Want to remember this post for planning your family road trip to Milwaukee? I’m so grateful for all of the experiences I’ve had on the two media trips I’ve done with Visit Milwaukee. Most everything I’ve written about above were complementary experiences being hosted for purposes of review. My experiences and opinions are my own.